A colonial hill residence with tea gardens for a view, a mist-wrapped palace in fragrant plantations. What set these heritage hotels in India apart is that instead of the usual standardized run of the mill experiences at some of the finest luxury hotels in the world, these heritage hotels in India offer a boutique experience, a personal flavor that comes from heart, art and history. Heritage blends seamlessly with the modern amenities albeit with a local flavor in the craft, cuisine and the cultural vignettes. Named as the reflection of the sky (Falaknuma means the same in Urdu), The Taj Palace hotel is the erstwhile palace of the Nizam of Hyderabad. One of the most luxurious heritage hotels in India, Falaknuma Palace is famously known for its opulence and luxury including some of the biggest chandeliers, exquisite and rare furniture, attractive paintings and murals, splendid statues, marble staircases and many other gardens in Mughal, Rajasthani and Japanese style. Falaknuma Palace incorporates a total of 60 rooms and suites that have been given final forms in a characteristic manner of Nizam royalty. Rest assured, the visitors can expect some of best service with all state of art amenities coupled with delicious world -renowned Hyderabadi cuisines and food. 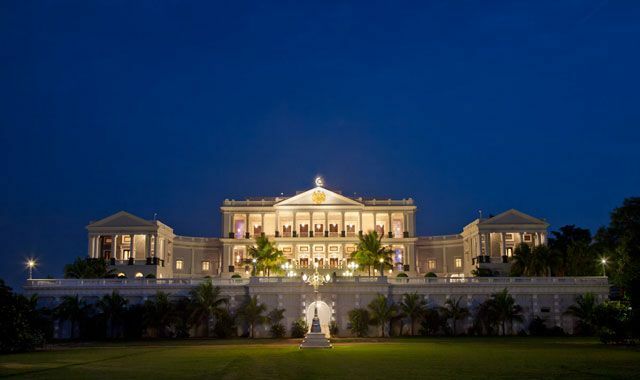 A truly cherishing experience awaits a visitor at Taj Falaknuma. Enchanting as some castle from a fairytale, Taj Lake Palace in Udaipur is like a canvas painted beautifully by some artist. Rising right in the middle of the lake, the place takes you on a picturesque joyride with its mesmerizing interiors, intricate decors, exotic artifacts, exquisite furniture, kaleidoscopic frescoes and silk fabrics. Outside the palace is as appealing as interiors with the scenic view of Aravalli and assembly of city palaces as backdrop. A perfect combination of modern amenities and remarkable services envelopes the guests in a sweep of comfort, luxury and royalty. 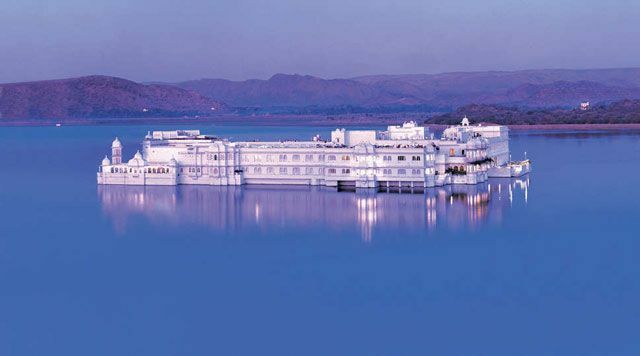 Taj Lake Palace is one of the favorite destinations of tourists flocking to Rajasthan to take away cherished moments spent in the lap of remarkable delicacy and sophistication of a unique culture. Situated right in the center of a bustling Kolkata business and cultural locales, The Oberoi Grand is hospitality par excellence and is frequented by tourists and guests who want to soak in the amazing warmth and comfort of its service and ambience. Also known as the Grand Dame of Kolkata, this luxury hotel is a beautiful building of colonial era and boasts of all the modern amenities and state of art infrastructure like the palatial rooms, spa, delectable cuisines, events and parties of all sorts. The Oberoi Grand furnishes truly a memorable experience for all their esteemed guests. Nestled amidst the majestic view of the enveloping Srinagar hills and overlooking the vast and picturesque Dal Lake, The Lalit Grand is an experience paradisiacal. 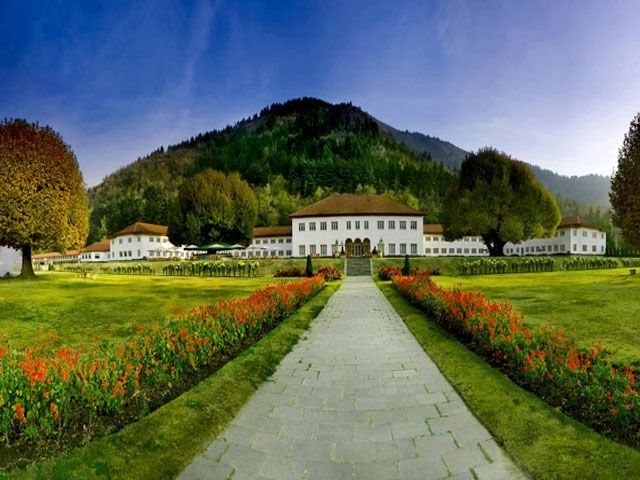 Once being the residential palace of the erstwhile ruling family of Kashmir, this property has had the reputation of being host to key historical figures like Lord Mountbatten, Mahatma Gandhi, and Maharaja Hari Singh etc. Located just few minutes away from the international airport and within a comfortable distance from important attractions, The Lalit features modern facilities like pool, spa, wifi and bar. Constituting of 113 rooms spread over expansive two floors, the iconic site is ideal place to stay for business and leisure tourists alike. 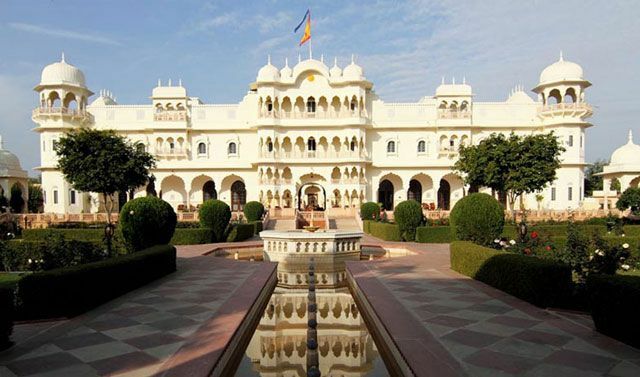 Offering the original flavor of the splendid Rajput royalty along with some of the best world class services with a value, The Raj Palace, situated in the heart of Jaipur, is like a manifestation of a dream for any guest. 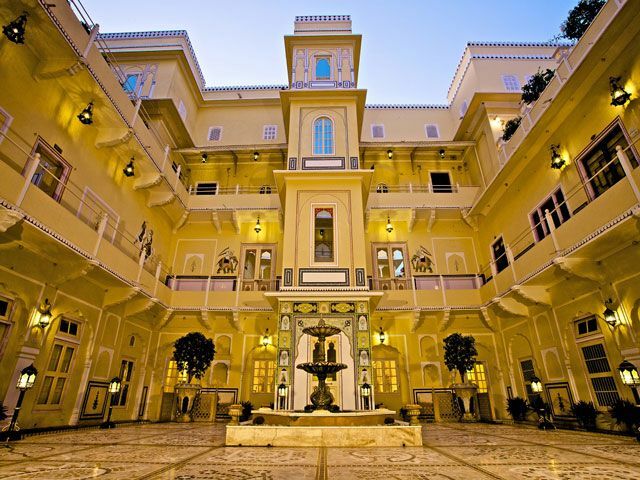 Equipped with all the modernized facilities and comfort, The Raj Palace was selected as the “World’s Leading heritage hotel” for consecutively four years from 2007 to 2013 by World Traveler Awards. The hotel strives to provide the best hospitality for its invaluable guests which include a number of luxuries like the spa, Kerala Massage, Ayurvedic Massage, Beauty and Herbal Treatments for a comprehensive mind and body rejuvenation. The services also include elephant and camel safaris and trips to some of the best historical and cultural icons of the city of Jaipur for an adventurous and cherishing vacation. 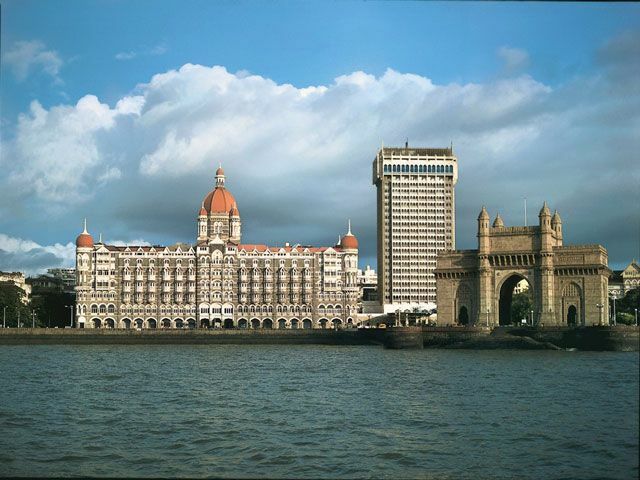 A landmark which is as much emblematic as it is historical, The Taj Mahal Palace and Toweris one of the most known and recognizable hotels in the world. An epitome of the finest luxury and grandeur of diversified proportions, The Taj stands as an icon of Mumbai and India’s image in the world. With 560 rooms and 44 suites, The Taj fuses the subtle elements of the timeless Indian culture along with all the latest and modern facilities and services. Whatever be the purpose of stay, the warm and affable staff of the Taj makes it sure that the guests have best of experiences. Since its inception in 1903, The Taj has been hosts to some of the most eminent, high-profile personalities of the world including George Bernard Shaw, Sir Richard Attenborough, Margaret Thatcher, Prince Charles, Barack Obama etc. A rich and affluent concourse of classical Indian heritage with a welcoming and amiable service spirit, The Imperial is one of the most distinguished landmark hotels in the heart of India’s national capital. 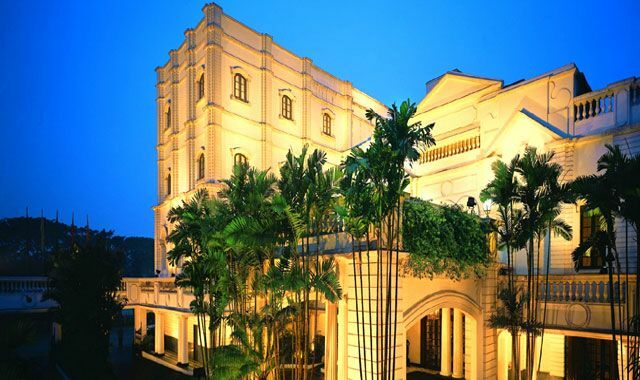 Designed in the colonial style, the hotel has clean, shining marble floors with high ceilings and elegant Burmese teak furniture along with dignified paintings and other works of art. The restaurants have a spectrum of award-winning culinary and dishes that offers from appetizing Pan Indian to Italian food. The accommodation has in total 235 rooms and 43 suits that is proper for different class of tourists from business to travel guests. 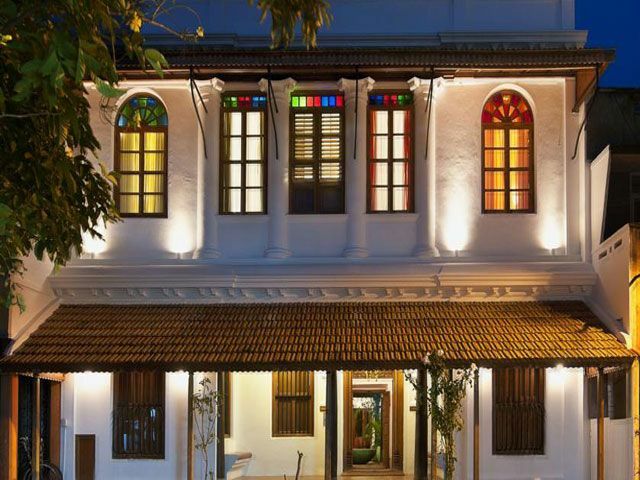 Furnishing a spicy flavor of classic Tamil culture, Maison Perumal in Pondicherry is simple yet exclusive accommodation with a cool and calming ambience. Flaunting bright colors of a rich heritage, the place delights its guests with appetizing foods which also includes the delectable Pondicherry seafood. The interiors are plain though presence of stained glass offsets and white plaster adds to the difference. Tourists can come and enjoy soothing atmosphere within the premises or take a rickshaw ride that takes them through the lanes and streets of old Pondicherry. Another attraction which the visitors can enjoy is the Ocean nearby with its cool breeze and blue color. A location away from the usual chaos and noise of the urbanity, Nahargarh fort-hotel extends comfort and extravagance for their guests in a quiet, cool and serene environment. Beautifully adorned with some of the most luxurious and elegant architecture in about 68 rooms and suites that are equipped with latest gadgets and modern infrastructure along with a variety of lip-smacking delectable cuisines, Nahargarh has been high on the lists of tourists and guests who have always reminisced a memorable experience when they have returned to Ranthambore!